At Echuca Moama Physiotherapy, our team of Physiotherapists are highly trained, undergo regular APA accredited courses and offer the best evidence based treatments available. Our aim is to provide treatment, education and rehabilitation to patients with the latest evidence based technology. Echuca Moama Physiotherapy is a dynamic practice with an established theoretical and scientific base and widespread clinical applications in the restoration, maintenance, and promotion of optimal physical functions. Our therapists are health care professionals who help individuals maintain, restore, and improve movement, activity, and functioning, thereby enabling optimal performance and enhancing health, well-being, and quality of life. Physiotherapy can prevent, minimise, or eliminate impairments of body functions and structures, activity limitations, and participation restrictions. Please contact us for further information on the wide range of physiotherapy services we offer from our modern, locally located clinic in Moama. 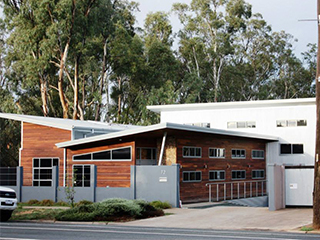 Echuca Moama Physiotherapy are centrally located and offer friendly professional service. We offer a wide range of specialist treatments including a full range of Physiotherapy and Clinical Pilates services. 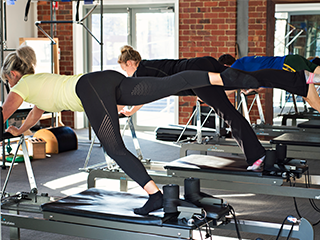 We also offer Pilates and Yoga classes in our amazing ‘bushland vista’ studio. Get in harmony with your body. To allow our physios to spend some valuable time with their families over the holiday period, there will be no Sunday morning injury clinic this week. It will be back on again next Sunday from 1030am. Huge congrats to our physio Bruce Gilmour who yesterday completed his first half iron man triathlon in St Kilda in a very respectable time. I think it’s safe to say he’ll be booking in a few appointments with our Myo Michelle this week to put him back together after that performance!